When you visit a place like Virginia Beach for a relaxing coastal getaway, it can be hard to ever leave the water’s edge - even to eat. Luckily you don’t have to. 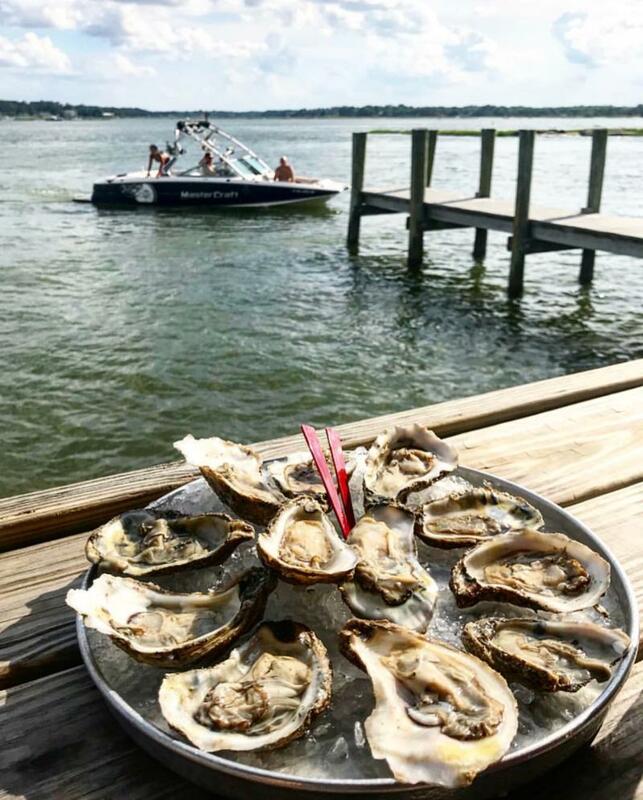 With the Chesapeake Bay and the Atlantic Ocean, as well as numerous inland waterways, there are several waterfront restaurants to help you keep the seasonal vibes going. 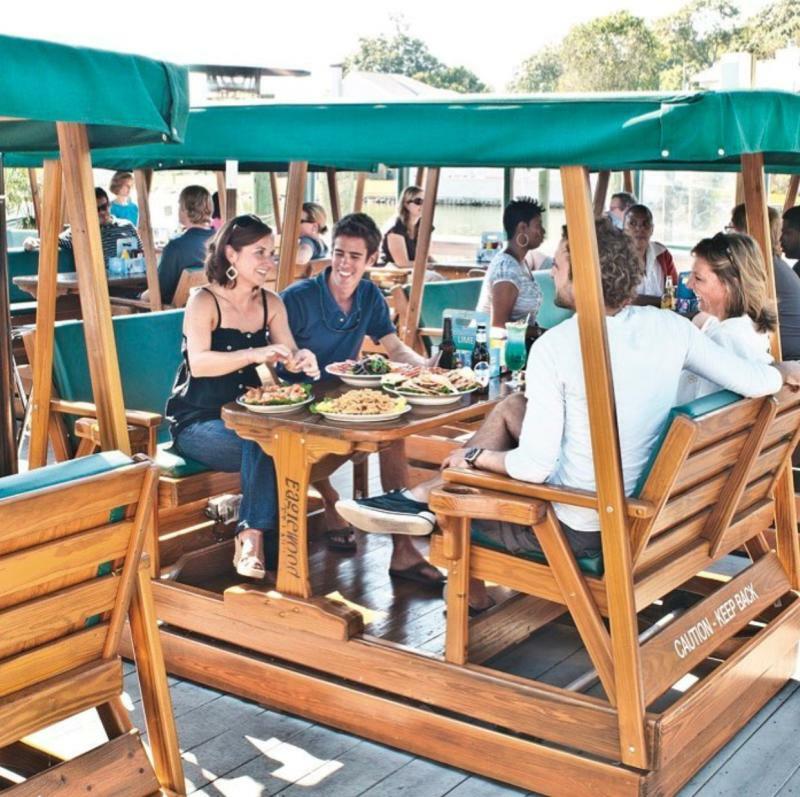 Here are some of our favorite places to take in the water views while you eat and drink. 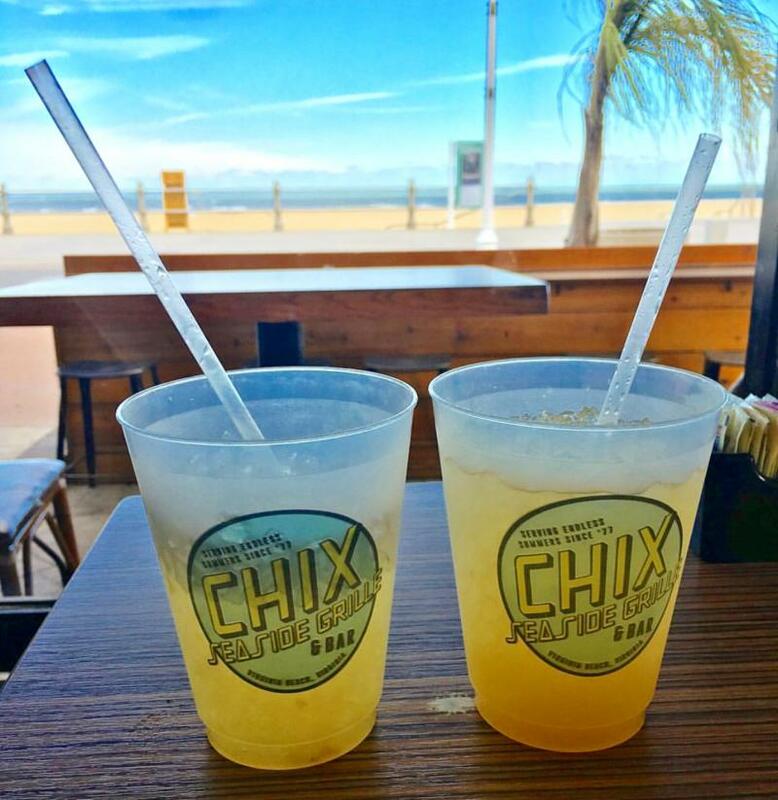 Chix has been a staple at the heart of the Virginia Beach Oceanfront for 40 years, originally opening as the Sun - N - Fun Bathhouse Grill, before changing its name to what it is today. 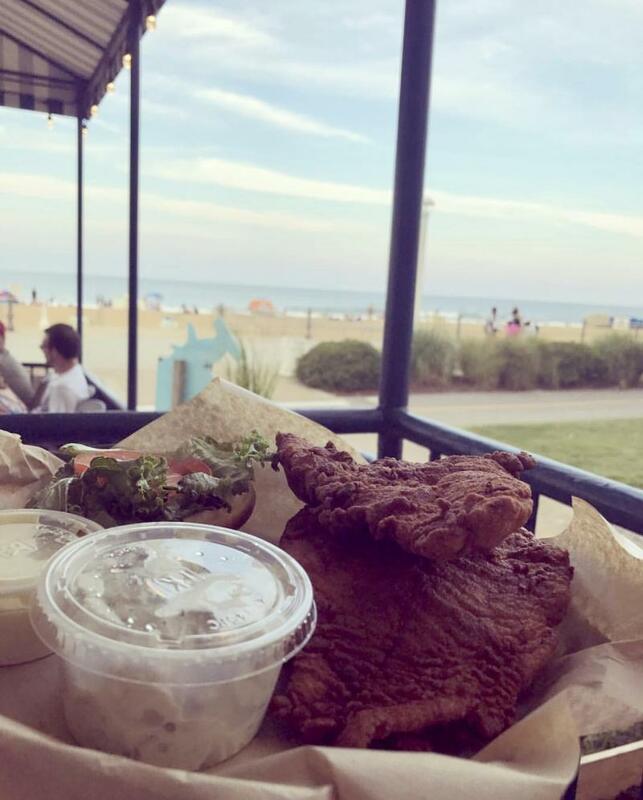 After being purchased by the owners of another popular Virginia Beach waterfront must-try, Waterman’s, Chix is still one of the Oceanfront’s most popular spots, and the ocean views and ample outdoor dining are a big reason why. With the classic Orange Crushes for which Waterman’s is known, and a menu of local classics like the Surf N’ Turf Shrimp Tacos or the Atlantic Feast of jumbo shrimp, a jumbo lump crab cake and fried fresh fish, is the perfect pairing of the old and the new. While you can’t go wrong with an Original Crush, we also love their fresh-squeezed shandy - with fresh-squeezed lemons, organic agave nectar and draft lager. It’s the perfect drink for a warm day at the beach. Looking out over the Virginia Beach Oceanfront from its second-story deck, the perspective here is hard to beat. With live music every night and a menu of specialty drinks like the Beach Bum Rum Runner, with light rum, dark rum, coconut rum, OJ, pineapple juice and a splash of raspberry liqueur, this is the perfect place for those in full-on vacation mode. Try the Oysters Ocean House while you’re here. These crispy fried oysters with Old Bay cream sauce, bacon and potatoes, are from the nearby Eastern Shore, which is just a quick trip across the Chesapeake Bay Bridge Tunnel from Va Beach. As the name entails, this place is like eating out on your own back deck if, instead of a lawn, your yard was an expansive body of water. The Back Deck looks out over Wolfsnare Creek, an inland offshoot of the Chesapeake Bay, where you can spend your time sipping on craft brews while you watch boaters, stand-up paddle boarders, and maybe even the occasion dolphin fin swimming by. Don’t leave without trying their fish tacos, which are $2 each, every Tuesday. 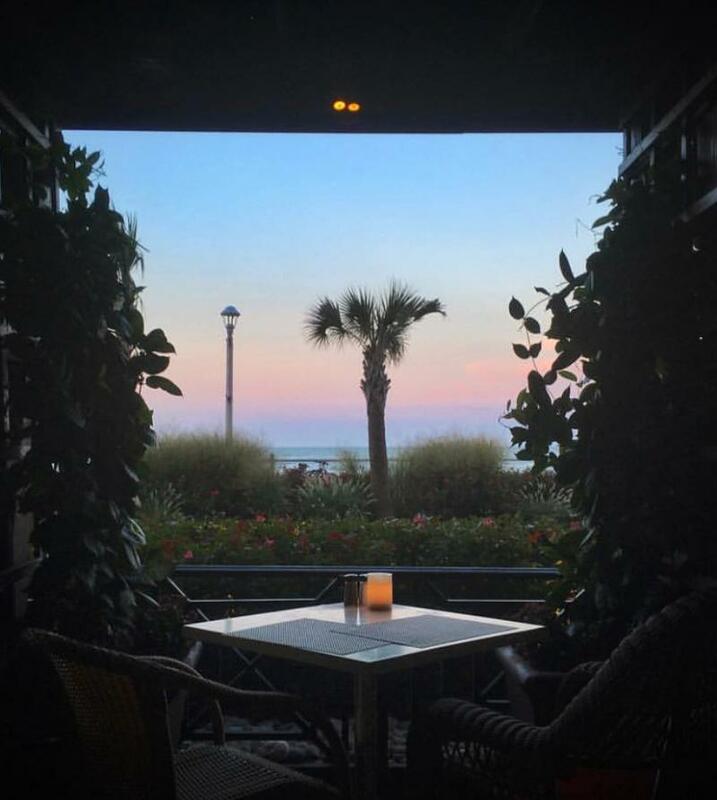 Located basically in the shadow of King Neptune himself at the Virginia Beach Oceanfront, Catch 31 is a prime location for outdoor eating. With views of Neptune Park, in addition to the unbeatable view of the Atlantic Ocean, we like coming here when there’s a concert in the park. Sit at the open-air fire pit and enjoy a farm-to-table menu highlighting the best of Coastal Virginia cuisine. Whatever you order, start it off with the Virginia Blue Crab Cake appetizer, Chesapeake Bay-style, and a North End Orange Crush, with fresh-squeezed orange juice, orange vodka, and triple sec, for a unique Va Beach experience. Rudee’s, nestled within the Rudee Inlet, is instantly recognizable by their open-air Cabana Bar and outdoor dining, a haven of outdoor seating known for the unique gliding tables overlooking the inlet and marinas. The Cabana Bar is a full-service outdoor bar that serves local brews and signature cocktails around fire-pit tables, meaning on nice nights you may want to get there early because they fill up fast. You can’t miss with the Fresh Catch of the Day served-up Chesapeake Style, topped with jumbo lump crabmeat, Virginia’s-own Smithfield ham, and Bearnaise Sauce.